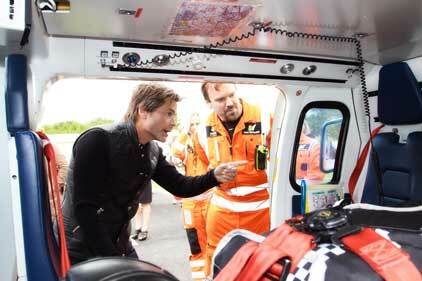 A life-saving air ambulance service has called in agency help to encourage sports stars such as Lewis Hamilton and Martin Johnson to support the charity. Frequency Media has been drafted in by The Air Ambulance Service (TAAS) to boost its long history of celebrity endorsement. After initial contact was made late last year, the agency has now been retained for a minimum of one year. Its focus will be on attracting big names in sports to which the charity has previously had access. Although the music and entertainment agency has worked with stars including Duran Duran, this is its first charity sector client. TAAS’ in-house team has previously garnered support from stars including Hollywood actor Rob Lowe and Queen guitarist Brian May, using events such as celebrity fundraisers to boost its profile. TAAS was presented with the 2011 Orange Business Award. TAAS CEO Andy Williamson said: ‘We have brought in Frequency Media in order to capitalise on the agency’s extensive expertise and unrivalled contacts within music and entertainment. One of the agency’s major projects will be an event publicising The Children’s Air Ambulance, planned for Q3. TAAS operates across the counties of Warwickshire, Northamptonshire, Derbyshire, Leicestershire and Rutland.